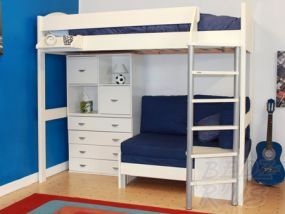 The Stompa Casa range is a range of hugely popular highsleeper beds. 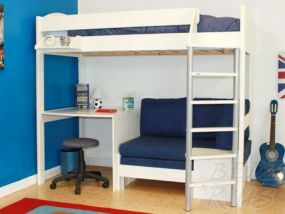 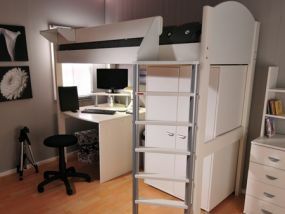 Each bed offers great durability, flexibility and functionality by providing an exciting place to sleep, study and relax. 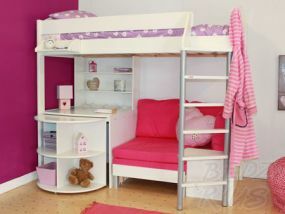 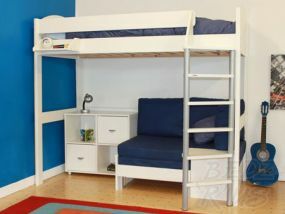 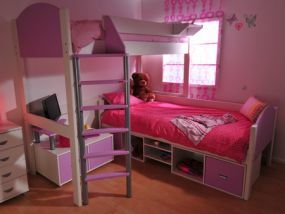 Many Stompa Casa beds feature a pull out sofa bed and feature a multitude of storage options. 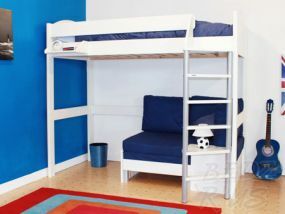 Stompa highsleepers require a European single mattress which is 90cm wide by 200cm long which is slightly longer than the UK standard equivalent. 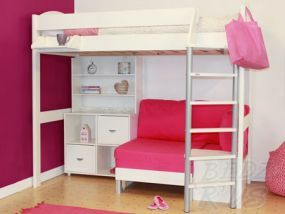 With our great low prices and next working day delivery, your child could be sleeping in their new bed a lot sooner than with any other company offering the Stompa Casa range. 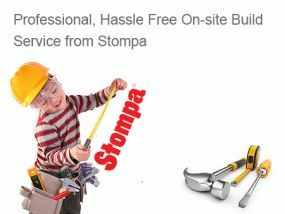 We are that confident that our Stompa Casa and Uno prices are the cheapest around that if you can find an identical package cheaper elsewhere, we will match the price and beat it by the price by a further £20.